August 21, 2018 (Pacific, MO) – You, the fans, have chosen the winner of the BIGFOOT T-Shirt Contest. And the winner is … Jimmy Mijarez, Jr. from Sunland Park, NM! 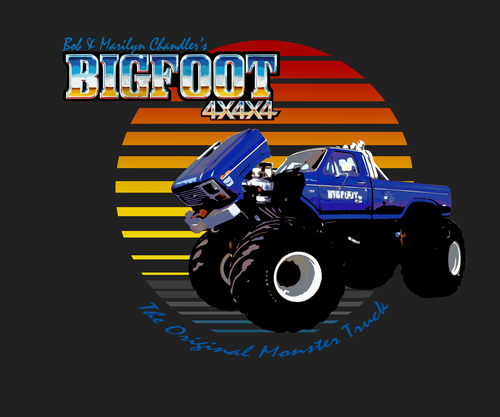 Here is his original design, which uses a classic retro BIGFOOT ca. 1983-86. We would like to thank all who sent in entries and everyone who voted for their favorite design. This design is now available in our Amazon store in multiple colors and don’t forget, a portion of every sale will go to a recognized children’s charity through the end of the year! Click below to get yours today.